You might have noticed that I’ve been away from blogging for just over a week, I did the odd bit of Twitter checking whilst away, and let Buffer take care of my Tweets and WordPress scheduler take care of my Linky #fortheloveofBLOG post release, but other than that it was great to have a break from blogging for a week. What I was doing was something far more exciting, we were enjoying our first holiday abroad in Spain as a family of three with our little one, and we loved it. 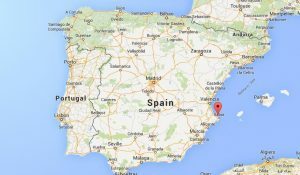 My Mum and Dad have a villa in a town called Denia on the Costa Blanca so we spent the week there (here’s a little map to show where Denia is). 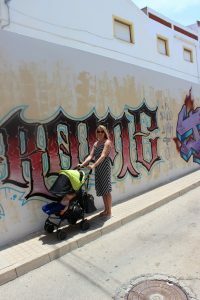 They were also joining us on our trip and flew out the day before which was brilliant, as it meant that they could go to supermarket to get all the supplies for us and the little one before we arrived. This included the ingredients for a spaghetti bolognese, nappies, wipes etc, and beer and wine for us after a day travelling. This was really handy especially as the supermarkets are closed on Sunday’s (our arrival day).. 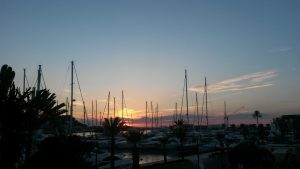 I have written down in diary format what we did every day, which was alternating between days on the beach, and spending the day walking around Spanish towns, but instead I’ll write this blog post to include the highlights of the week. 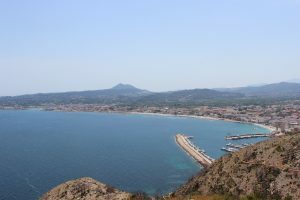 This is one of our favourite beaches to visit when we come to Spain on holiday, purely because it has nice sand, good sea – not too wavy and not too flat, and lots of restaurants for us to take our pick from for lunch. 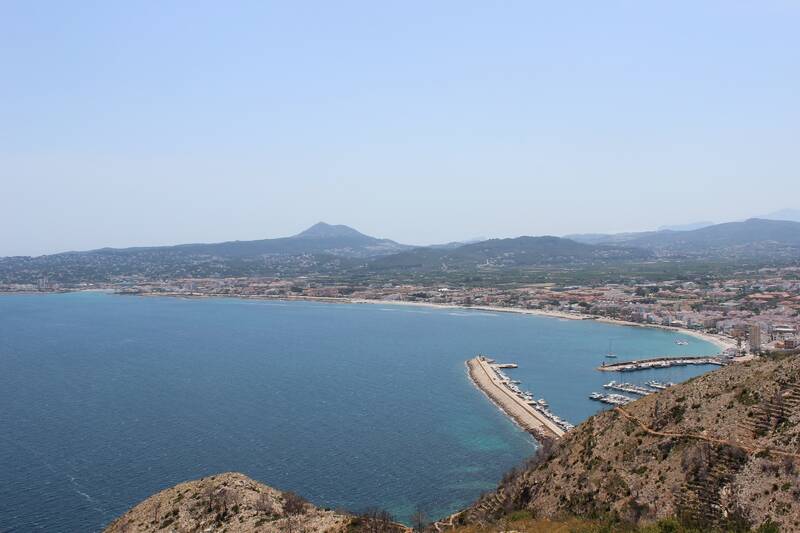 We visited this beach 4 times altogether, it is really easy to get to being a short drive from the villa in Denia over the Montgo mountain – the road is pretty windy with breathtaking views, and luckily our daughter was not travel sick at all in our rental car. We have taken our daughter to lots of beaches in Wales, but this time would be different, as she would be out of her pushchair sitting on the sand – so I had no idea how she would react to it. Good news is she liked it. She was a bit nervous at first whilst sussing out where she was, but eventually she started crawling and putting her hands in the sand. A baby that is wearing suntan lotion, and covered in sand is not nice, but she didn’t seem to mind. She also had her first experiences of putting her feet in the sea, she’s not walking yet, but that didn’t stop us dangling her legs in. She was really interested in everything that was going on around her, pointing and waving, and loved seeing the little birds pecking at the sand. 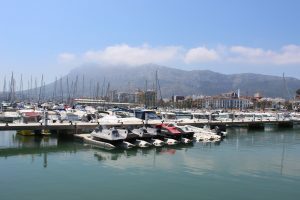 We enjoyed some lovely meals at lunchtimes at Acqua, Lungo Mare and Chabadabada on the promenade eating tapas, burgers, pizza, and more tapas. As it turns out our little one is also a lover of tapas too, enjoying Patatas Bravas and Iberian Jamon Croquettas. 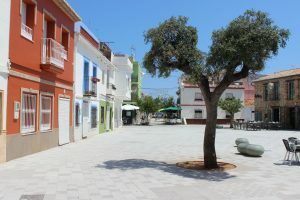 Every week there is a market held in the old town in Javea, this markets sells everything from kitchen homewares to fruit and veg. 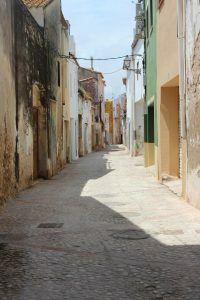 We had a wander around the market, picking up a few bits and pieces, and headed back into the narrow cobbled streets of Javea for lunch. I loved walking around the traditional Spanish streets in the hot sun, taking photos and admiring the architecture whilst the little one slept. 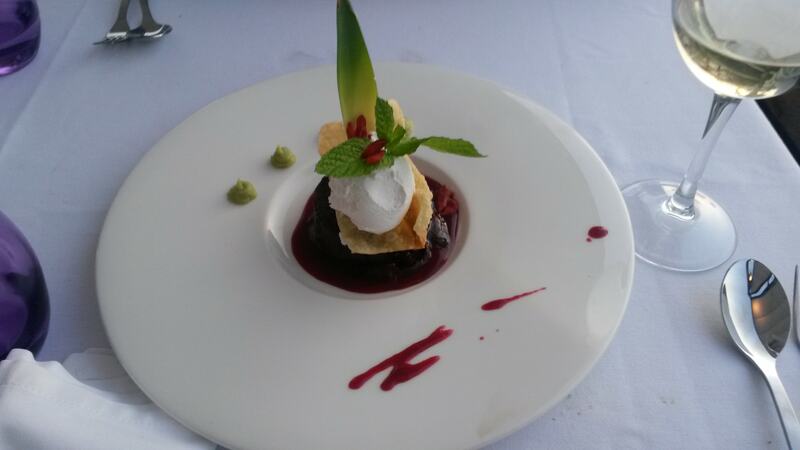 We managed to enjoyed a 3 course Menu Del Dia lunch for 12 euros in a lovely restaurant called Mi Lola just down from the old market hall. 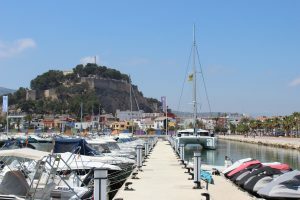 I have been to Denia so many times, and this time it felt like it had really changed with a new port recently completed. 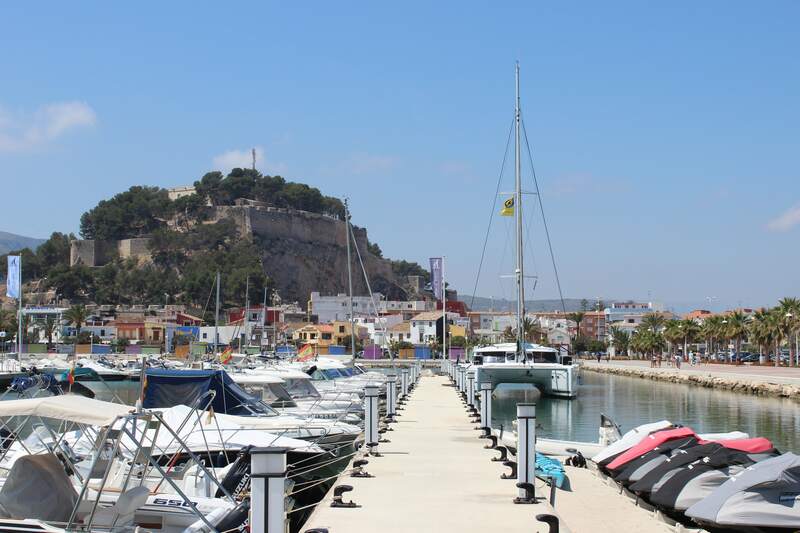 We enjoyed walking around looking at the boats, having a coffee, beer and lunch at a new restaurant called Mr Fisher with a fantastic view looking back across the marina towards Denia, the castle and the Montgo (mountain). On this trip we also discovered the old town (I’m not sure how we had never been before) with its narrow streets, fisherman’s houses, churches, convents and loads of tapas bars. We were given a good tip by my mother-in-law before we left to purchase a small paddling pool. My parent’s bought one and it was so useful for my little one to play in whilst we sunbathed or went swimming ourselves. She really enjoyed this, splashing about with her toys and playing with a toy watering can. Looking back I don’t know what she would have done when we were enjoying the pool, if we didn’t have a paddling pool. Whoop! Not only did we have one date night, but we had two! 10-months after having my little girl we finally had a night out just the two of us. Now that she is sleeping much longer stretches at night we were confident that she wouldn’t wake up until the early or late hours of the morning, so my Mum and Dad were on baby duties. 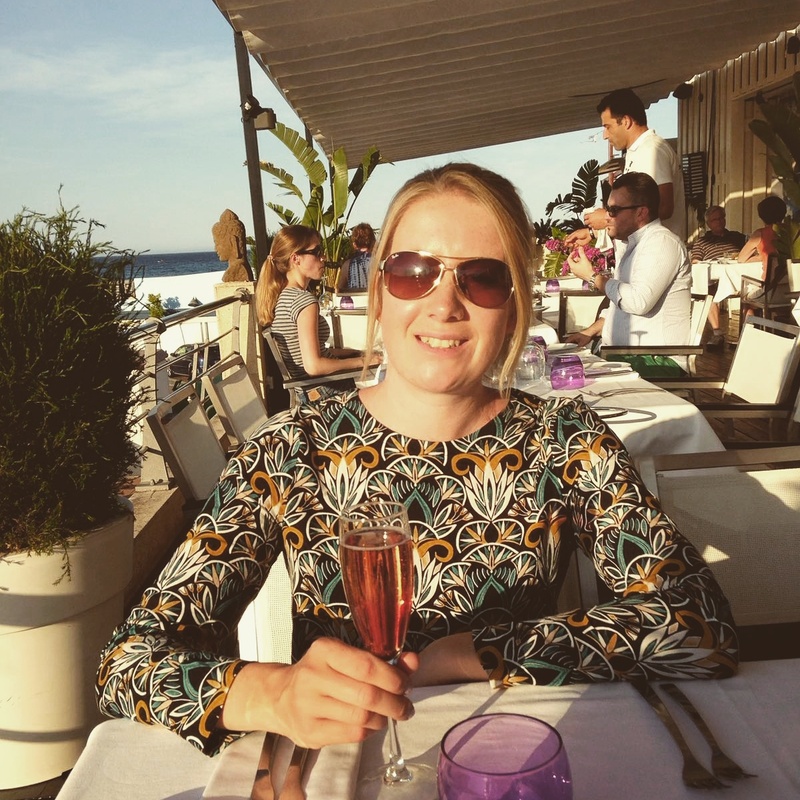 We enjoyed one meal at Republic a restaurant at Denia Marina starting off with a Kir Royal. I had a lovely alternative take on Gazpacho soup to start which was green instead of red, made with cucumber, basil and iced beetroot, and my husband had a breaded prawns that were presented on a huge prawn cracker. 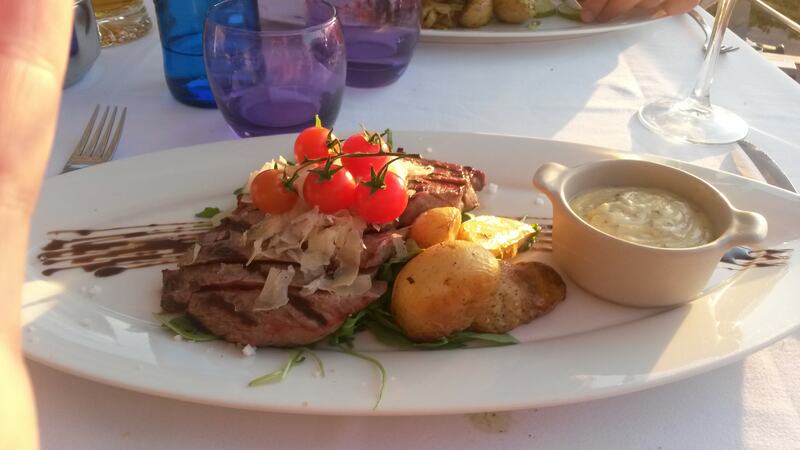 For the main course I enjoyed a steak and my husband had a tuna steak – all very delicious. We then shared a dessert, a spiced brownie which was a little weird tasting, but beautifully presented. We also had a second night out at a restaurant called La Seu in Denia old town, having another lovely meal with wine. We enjoyed Croquettas and Tempura Vegetables to start, and we both had a steak for our main course which was divine – so much so that it melted in your mouth. At the end of the meal we were treated to a glass of champagne on the house. On both occasions it was lovely to have a some time away from the baby, and not having to watch her on the video monitor throughout the evening. 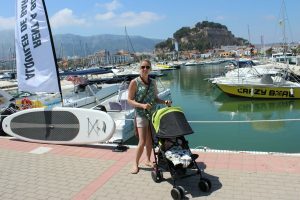 Lastly it was lovely for my Mum and Dad to spend 6 days with our daughter, they loved it and my daughter loved it too. It was great to see them getting to know each other, as often they have only seen her for the odd day here and there. It was also good for me and my husband to not be the only people constantly having to watch her, pick her up etc which can be quite exhausting now that she is on the move. 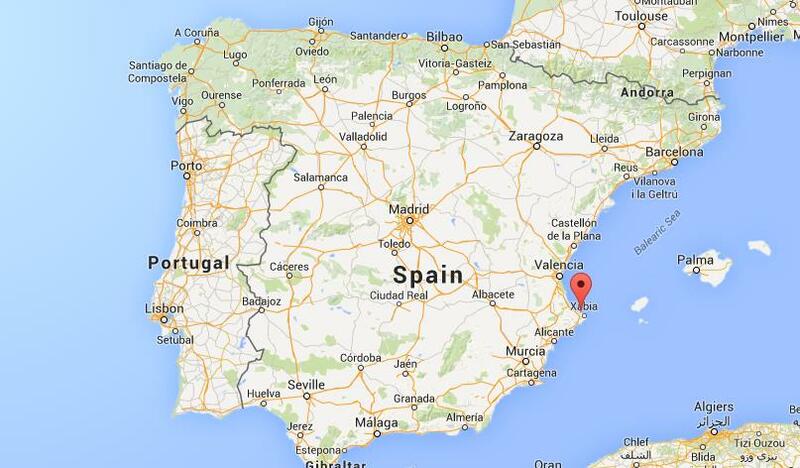 We had a lovely first family holiday abroad in Spain, and I’m already looking forward to going back. Watch this space to read all about our airport and plane experience, new blog post coming soon. It sounds like you had a wonderful holiday and two date nights wahoo!! The old town looks like a very peaceful place to visit. I remember the sun cream and sand situation haha! It gets everywhere!! Thanks so much for linking up at #KCACOLS. Hope you come back again next Sunday. 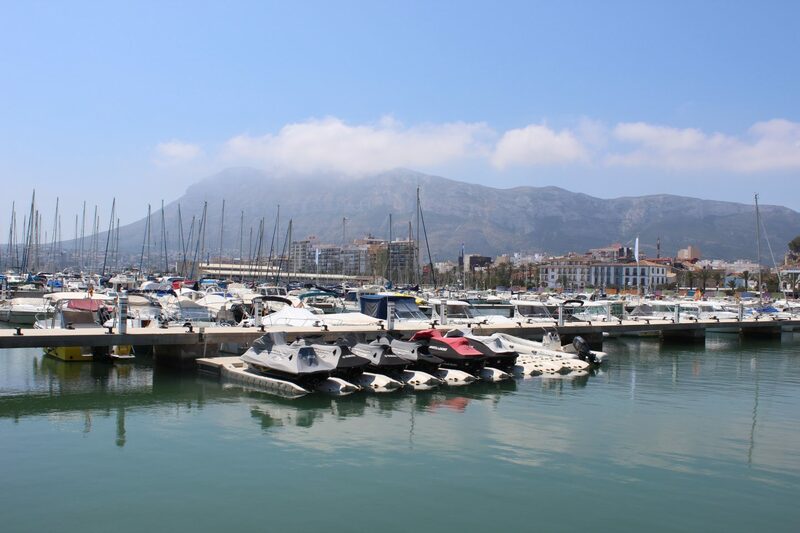 I am sure my best friend’s mum lives in Denia 🙂 I’ve always fancied a trip there and your photos show just how beautiful it is! So exciting having 2 date nights! Wow you really explored! The old town market in Javea is so amazing, I love it!